Single Glass Front Niche: A space within a mausoleum designed for the entombment of cremated remains in an interior setting. 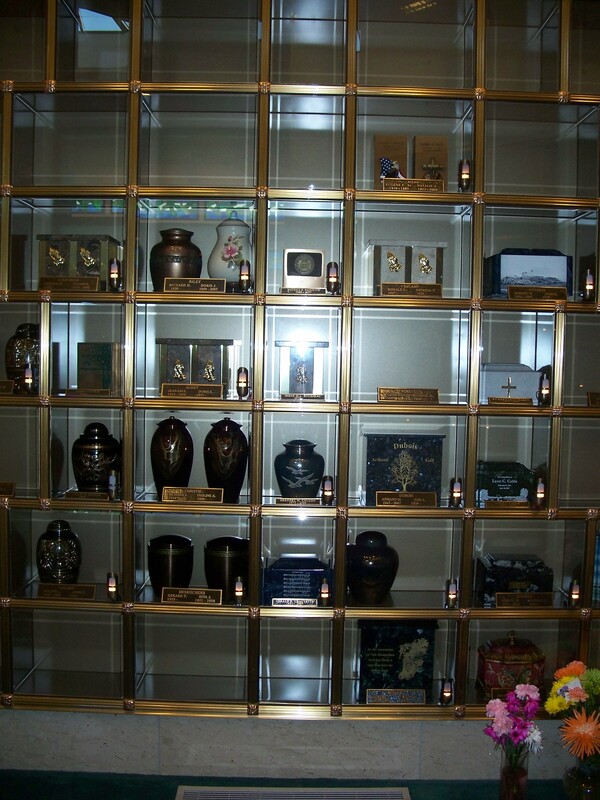 Single glass front niches are intended for the cremated remains of one person in a urn behind a glass shutter so the urn would be visible. Double Glass Front Niche: A space within a mausoleum designed for the entombment of two cremated remains in an interior setting. 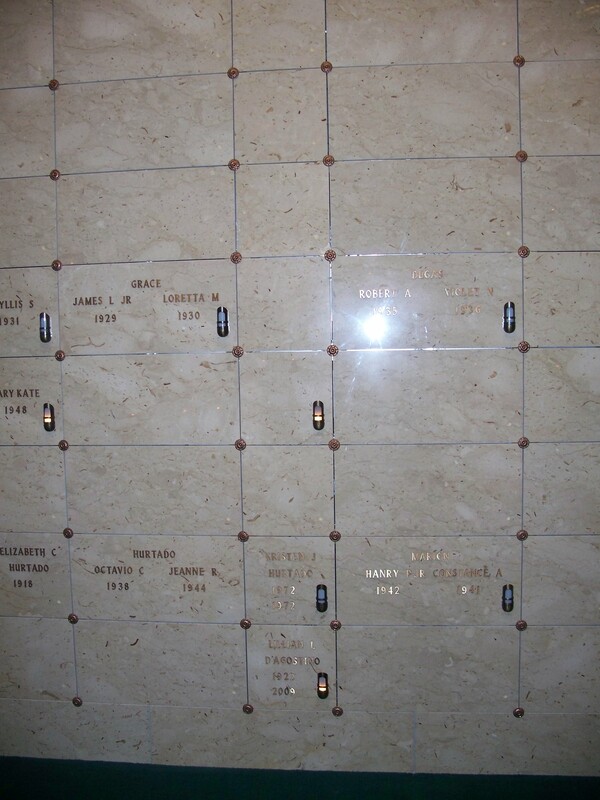 Double glass front niches are intended to be used by two cremated remains of two person behind a glass shutter so the urn/urns would be visible. Single Marble Front Niche: A space within a mausoleum designed for the entombment of cremated remains, in an interior setting. Single marble front niches are intended to be used by one cremated remains of person behind a marble shutter so the urn will not be visible. Double Marble Front Niche: A space within a mausoleum designed for the entombment of two cremated remains in an interior setting. Double marble front niches are intended to be used by two cremated remains of two person behind a marble shutter so the urn will not be visible.